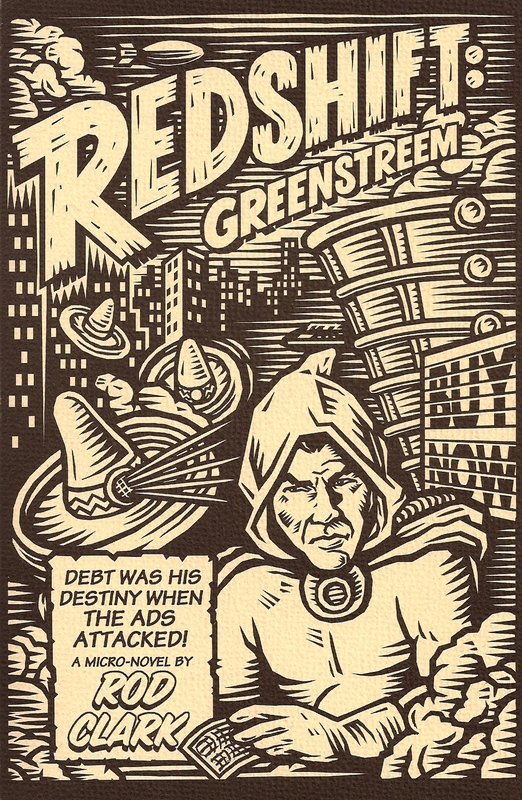 It also contains Appendix I and Appendix II from Clark’s science fiction “micro-novel” Redshift: Greenstreem, originally published in 2000 and just re-issued by the Cambridge (WI) Book Review Press. (It is available from the publisher and from amazon.com.) The book is being touted as “a minor cult classic,” and having just purchased and read a copy I can see why. It has much to say about the present economic crisis (about which it is highly prescient) and about the need for something like the Occupy Wall Street movement that is currently sweeping the nation. Say what you will about the merits of these occupations, the need for concern that they highlight—over the wildly increasing gap between rich and poor both at home and abroad—seems hard to seriously question. Maybe, by some creative mix of rhetoric and protest, we can still save our children and grandchildren from the ill fate prophesied in Clark’s dystopian narrative.